Cole Ndelu, a recent graduate of the Stellenbosch Academy has been named as a finalist at the Sony World Photography Awards! She is one of just three South Africans who have been named finalists in the competition, with the other two photographers appearing in the Open category. This makes Cole the only student from SA with a finalist placing! Cole’s submission, Pride of the Panther, was created to meet the competition’s brief: Memories. This makes her one of just ten finalists in the student category from across the entire planet. To give you a further idea of the scope of this competition and put Cole’s achievement into perspective, the Sony World Photography Awards 2017 across all categories saw 227 596 images submitted from 183 countries. No mean feat! As part of her placement as a finalist, Cole will be flown to London for the final judging where she stands a chance to win 30 000 Euros worth of photography equipment. Cole – we’ll be holding thumbs! This entry was posted in Academy Work, Photography and tagged Academy Work, photography, sony world photography awards, Stellenbosch Academy on February 28, 2017 by stellenboschacademy. Working on a brand like Comme des Garcons is a great opportunity to push the envelope. Being an avant-garde fashion brand means there is much more scope to push the boundaries and create something really interesting. 84.Paris took up that challenge here and did an amazing job. Bringing a fragrance to life through advertising must be one of the most difficult tasks in the business. Until we get smell-o-vision or some kind of other contraption, we’ll always be stuck trying to represent what something smells or feels like with imagery. Interactivity, web design and multimedia have made this even more interesting as brands are now able to push the envelope even further when it comes to advertising their fragrances. This site for the new fragrance by Commes des Garcons, Black Pepper is such a great example. It’s fully interactive, incorporating artful illustration, animation and sound design. This entry was posted in Multimedia and tagged 84Paris, Commes des Garcons, Multimedia on February 27, 2017 by stellenboschacademy. Interested in doing a short course through the Academy? We’ve got loads on offer which you can have a look at here. And if you want to stay more up to date with all our goings-on with our short courses, you can also give our Facebook page a like over here. 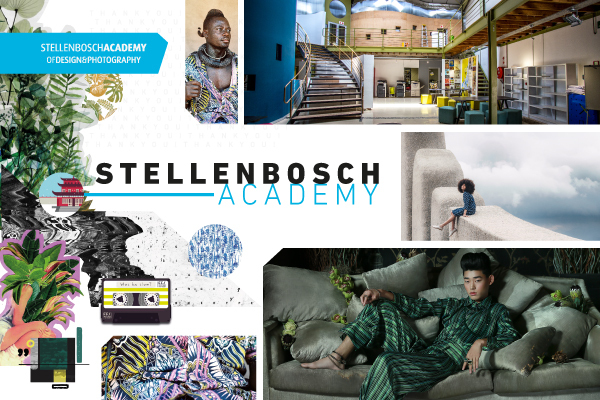 If you’re interested in an info pack or want to know more about any of our short courses, send a mail to vanessa@stellenboschacademy.co.za. This entry was posted in Academy Work and tagged Academy Work, Short Courses, Stellenbosch Academy on February 24, 2017 by stellenboschacademy. We really love this site by Merci-Michel for Orange France. It’s goal is simple and perfectly executed – to wish people a happy 2017 and offer them a fun, interactive experience. With high-quality, detailed illustrations and a load of hidden animations to uncover, this is a great distraction for a work day, all the while being exposed to Orange’s brand. This entry was posted in Uncategorized and tagged Illustration, Merci-Michel, Multimedia, Orange, Website on February 24, 2017 by stellenboschacademy. We’re so used to insurance ads that try and sell us on fear. That’s why you get insurance, right? To deal with the bad times? But what if an insurance company turned that all around and looked at it from the other side? What if insurance could be all about things going right instead of going wrong? This super fun TV spot from Johannes Leonardo asks that very question. Check it out below! This entry was posted in Art Direction and tagged Art Direction, Film, Johannes Leonardo, Sonnet on February 22, 2017 by stellenboschacademy. We love this new spot for Diesel, directed by the world-renowned photographer, director and artist David LaChapelle. In the true Diesel style, expect incredibly good looking people in great fashion having fun and living the Diesel brand. What makes this spot extra interesting though, is the way it takes a more political stand compared to what we’ve seen before. The rise of Donald Trump and more right-wing ideas across the world has resulted in a number of brands staking out more political stances, and being willing to stick their necks out more. Maybe it’s time for more brands to have more of a political conscience. They’re important enough in our lives that what they say and do can really make a difference. This entry was posted in Art Direction and tagged Art Direction, David LaChapelle, Diesel, Make Love Not Walls on February 20, 2017 by stellenboschacademy. This is such a fun, seasonal piece of packaging work for Lyle’s Golden Syrup by Design Bridge. With Pancake Day approaching (aka Shrove Tuesday should you wish to be more correct / old-school), Lyle’s Golden Syrup wanted people to realise that they could be making pancakes more often. Of course – if you make pancakes more often, you need more Lyle’s Golden Syrup. A rather smart sales idea! Again we’re seeing an interesting reimagining of a heritage brand and we must admit – we love it! With a name change: Flippin’ Good Pancakes, through to illustration elements that bring to mind the making of pancakes (spatula patterns, lemon wedge designs) as well as some rather… punny… copy on the pack – it doesn’t get any sweeter. This entry was posted in Design and tagged Design, Design Bridge, Lyle's Golden Syrup, Packaging on February 17, 2017 by stellenboschacademy.